With a maximum capacity of 11,000 the M&S Bank Arena (formerly Echo Arena Liverpool) is the largest performance venue in Liverpool and one of the biggest in the country. It is situated at the King’s Dock and is one half of the ACC (Arena and Convention Centre) Liverpool. The other half of the complex is the BT Convention Centre. Since opening in 2008 the waterfront venue has hosted concerts from some of the world’s biggest names in music. Acts appearing have included Justin Bieber, JLS, Usher, Westlife, Beyonce, Coldplay, Oasis, and Lady Gaga. It is also used as a venue for comedy acts, children’s shows, and sporting events such as boxing, darts, and wrestling. A selection of upcoming shows and events at M&S Bank Arena Liverpool are listed below. Tickets can be purchased here. Thursday 31st October 2019 7:00 pm Marvel Universe LIVE! Friday 1st November 2019 7:00 pm Marvel Universe LIVE! Saturday 2nd November 2019 11:00 am Marvel Universe LIVE! Saturday 2nd November 2019 3:00 pm Marvel Universe LIVE! Saturday 2nd November 2019 7:00 pm Marvel Universe LIVE! Sunday 3rd November 2019 11:00 am Marvel Universe LIVE! Sunday 3rd November 2019 3:00 pm Marvel Universe LIVE! More events may be listed on the official M&S Bank Arena Liverpool website (see the information section at the end of this page). 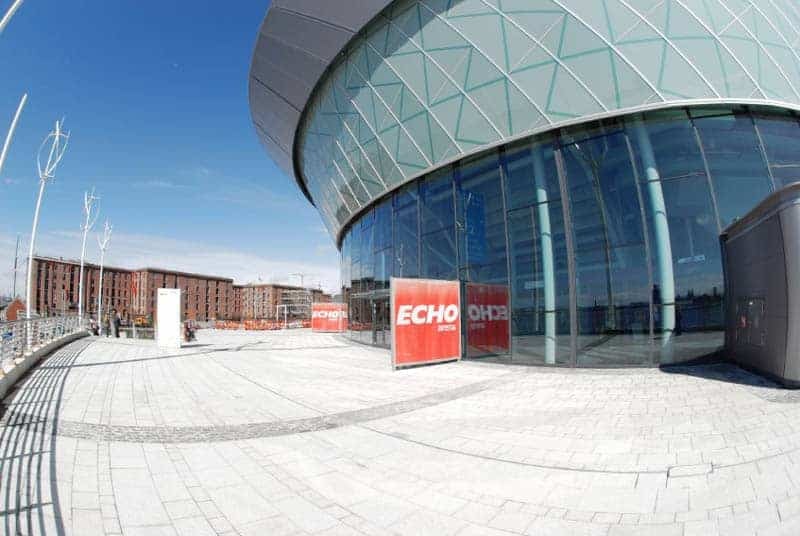 The closest mainline train station is Liverpool Lime Street, around 20 minutes’ walk from the Echo Arena. 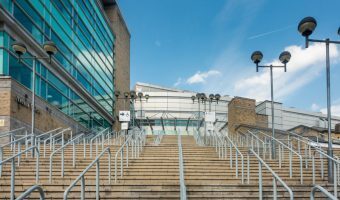 Visitors not wishing to walk can hop onto the Merseyrail network at Lime Street and catch a train to James Street Train Station, roughly ½ mile from the arena. To reach the M&S Bank Arena by car, follow the brown tourist signs marked Waterfront, located on all major roads into Liverpool city centre. 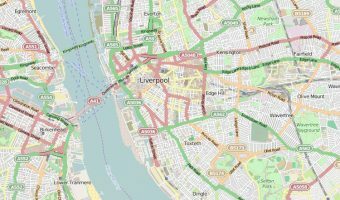 The official website suggests using L3 4BX as the postcode for satellite navigation systems (although the actual postcode for the Liverpool Echo Arena is L3 4FP). The M&S Bank Arena boasts its own car park with spaces for 1,600 vehicles. At the time of writing (September 2016) a flat rate of £7 is charged on event nights. There are further car parking choices at Liverpool One. Odeon Liverpool ONE (0.6 miles) - 18-screen cinema at Liverpool ONE. Liverpool ONE (0.5 miles) - Shopping and leisure development in Liverpool city centre. Map showing location of M&S Bank Arena Liverpool. Watched High School Musical on Friday night – fantastic show, great venue, helpful staff. We had 4 children with us and the only complaint was the prices of refreshments/sweets. £7 for popcorn or candy floss!!! Fantastic Facility – Built to perfection for watching concerts/indoor events, really not a bad seat or view in the house. Atmosphere generated is truly amazing too – think that’s down to the Scousers though! All in all provides a brilliant experience especially after just watching Coldplay! I love the Echo Arena. It’s super and has great facilities. Super disabled facilities and parking. We had a smashing time watching Duran Duran.